Sammy Spider wants to taste the golden honey the Shapiros set out for a sweet New Year. Mom tells him to stick to spinning webs, but will curious Sammy listen? ". . .delightful book. . . simple, direct message. . . another successful collaboration." "Sammy is endearing. . . This gentle tale should appeal to youngsters of all backgrounds. The colorful collage illustrations are both instructive and cheerful." eSource guides are tools for educators--parents or teachers--for helping children understand selected Kar-Ben books. These guides include historical context, definitions, pre- and post- reading questions, plus ideas for projects and activities. 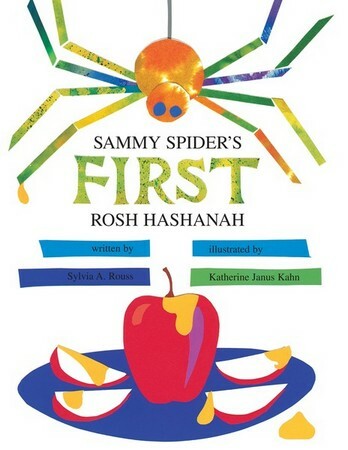 Download an eSource for Sammy Spider's First Rosh Hashanah.